How to Pass Style Me Girl Level 42, "Princess Wedding," & Get 3 Stars Without Using Any Cash Items! | I Style Me Girl! 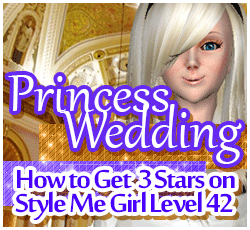 How to Pass Style Me Girl Level 42, "Princess Wedding," & Get 3 Stars Without Using Any Cash Items! It's model Isabella's wedding in Style Me Girl level 42, and your assignment is to style her in a "Princess Wedding," theme. I had so much fun dressing her up for this level, getting three stars for the look without using any cash items was icing on the wedding cake! If you want to know how to pass Style Me Girl Level 42, "Princess Wedding," without having to use any cash items, see how I accomplished it in this post! 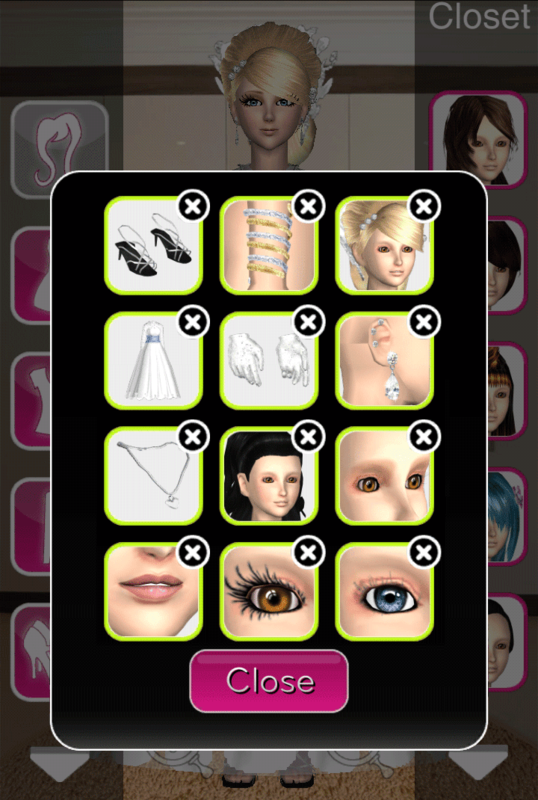 The items I used to pass and earn 3 stars on Style Me Girl Level 42, "Princess Wedding," are pictured and described in the list below. The "Closet Items," screen capture image at right can be clicked to enlarge if you'd like a more detailed view. I hope this helps those that may be stuck on this level. Best of luck to my fellow Me Girl players! Please do share your thoughts in a comment! Try this? Try something else? How did it work? Let us know! Thanks and good luck! 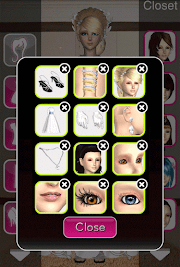 Wanted to save some more coins again, so I followed your example exactly except: I did not purchase the diamond earring set. To make up for that lack of dazzle, I equipped the red teardrop earrings that come with the game, as well as the Signature fan and tiara, and I passed with 3 stars.